Grab Dredger divide into self-propelled and non self propelled . Self propelled generally hopper belt, mud tank filled from airlines to mud area dumping; non self propelled by mud Barge clay loading and unloading mud: use of wire rope Grab Dredger, relying on the action of gravity, into the water to a certain depth, by the insertion of a mud layer and a closed grab to mining and grab sediment, then through the manipulation of ship crane mechanical lifting grab out of the water, swing to a predetermined position the sediment discharge into the hopper or mud barge, and so forth. Grab dredger for waterway and harbor pool, and water infrastructure dredging work. 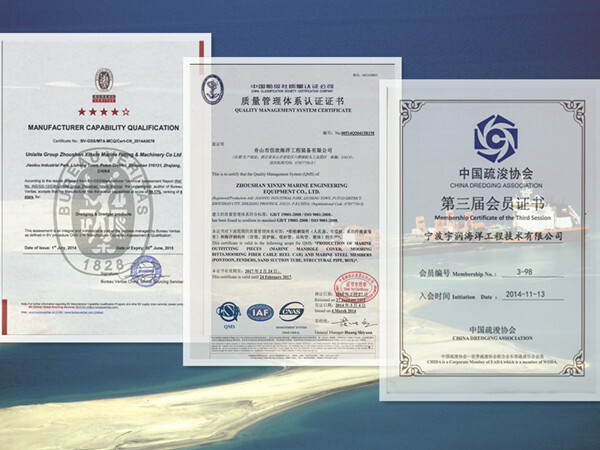 Suitable for mining silt, gravel and clay, but it is not suitable for mining sand and silt. Dredging using wire rope grab, rely on the action of gravity, into the water to a certain depth, by the insertion of a mud layer and a closed grab to mining and grab sediment, then through the manipulation of ship crane mechanical lifting grab out of the water, swing to a predetermined position the sediment discharge into the hopper or mud barge, and so forth. Grab dredger is self-propelled and non self propelled two. In general, the tank is filled with mud, and the mud tank is filled with dump mud from the air to the dump area. Grab dredger for horizontal excavation. Operation timed assigns 5 mooring, main anchor cable length should be 200 to 300 meters, the anchor tail length should be 200 to 300 meters, high velocity of poor quality long timely. The edge should be thrown in mooring line outside the 100 meters. Near point positioning, anchored procedures and chain bucket ship basically the same. Grab dredger should adopt concurrent construction. When the flow rate is not large or there is a reciprocating flow, it can be used as a counter current. For clamshell dredgers the method of anchoring and the positioning system plays an important role for the effectiveness of the dredger. The volume to be dredged at a position decreases with the angle from the centerline. So dredging areas from -90° to +90 ° from the centerline is not always effective. 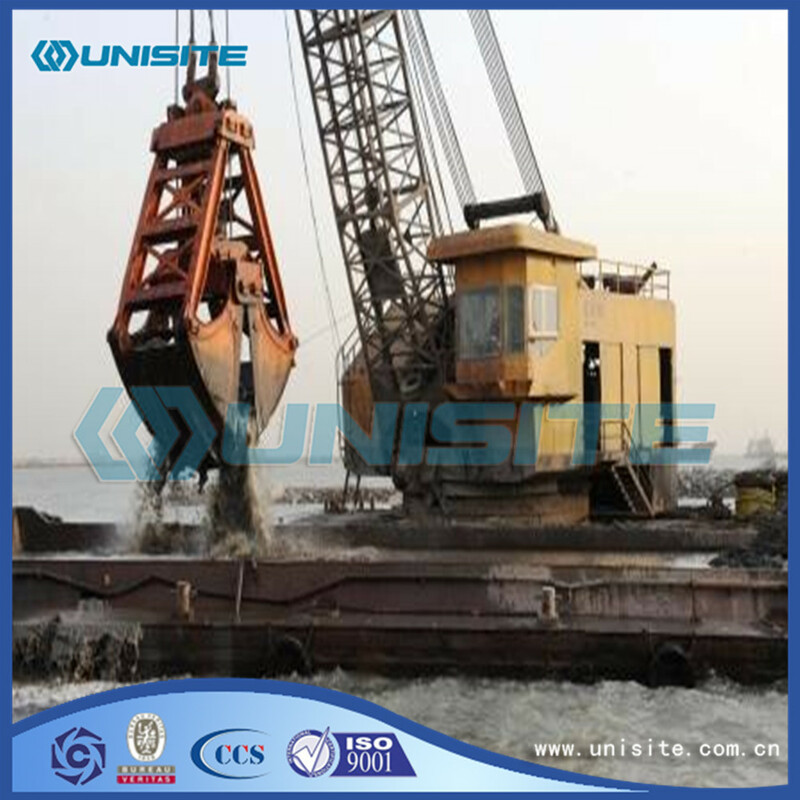 The dredging process is discontinuously and cyclic. • Opening the bucket by releasing the closing wire. Releasing the aft wires and pulling the fore wires does the movement of the pontoon. When the dredgers have spud poles, this movement is done by a spud operation, which is more accurate than executed by wires. 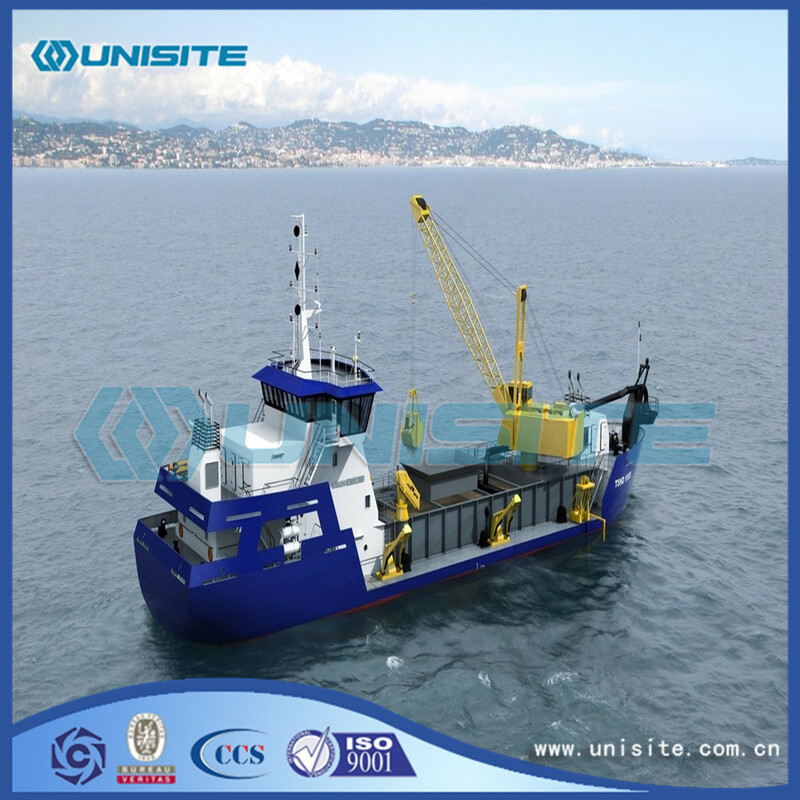 Looking for ideal Marine Grab Dredger Manufacturer & supplier ? We have a wide selection at great prices to help you get creative. 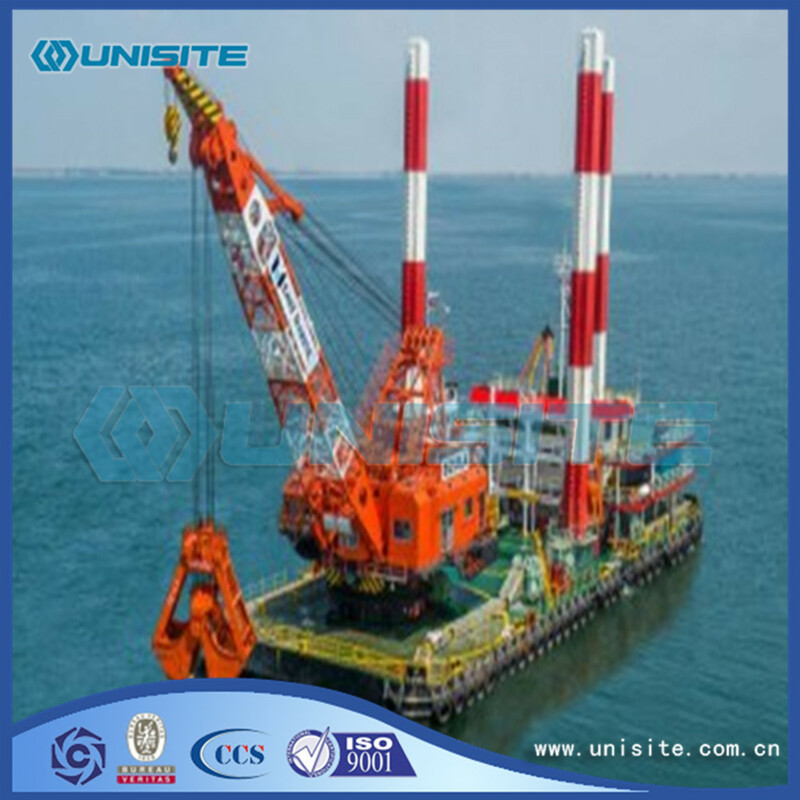 All the Steel Marine Grab Dredgers are quality guaranteed. 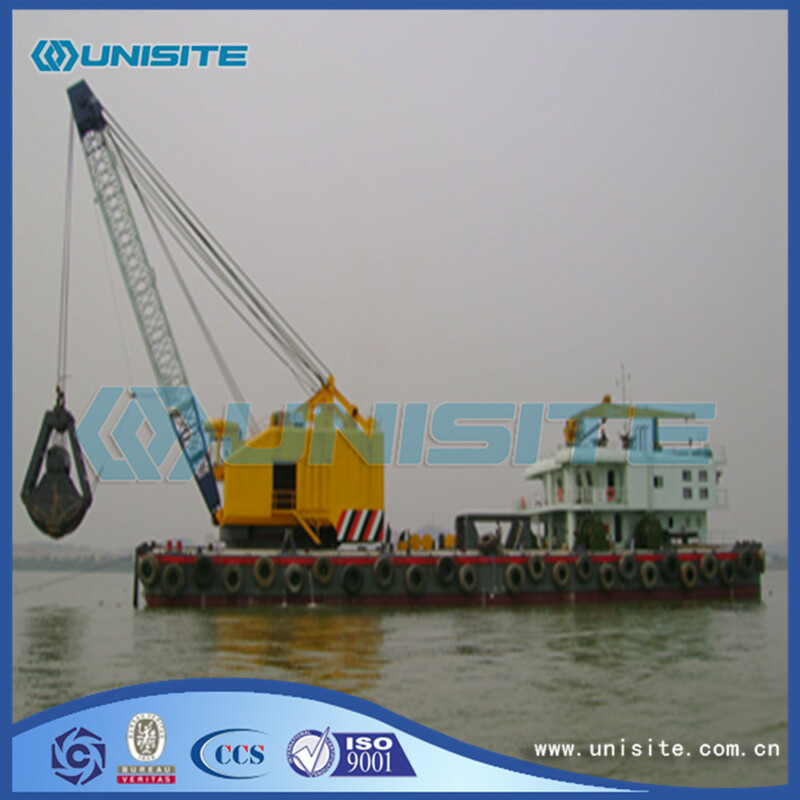 We are China Origin Factory of Custom Marine Grab Dredger. If you have any question, please feel free to contact us.